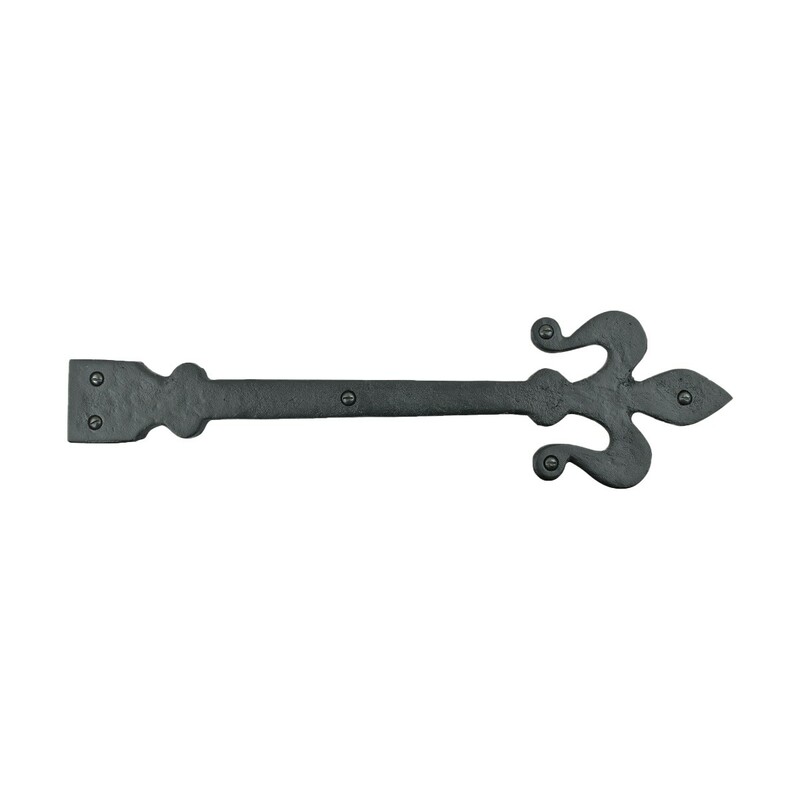 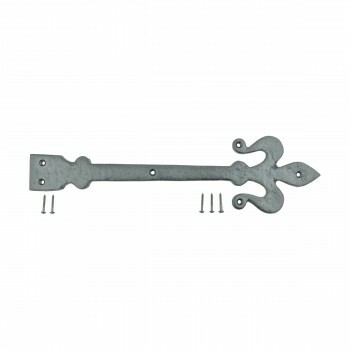 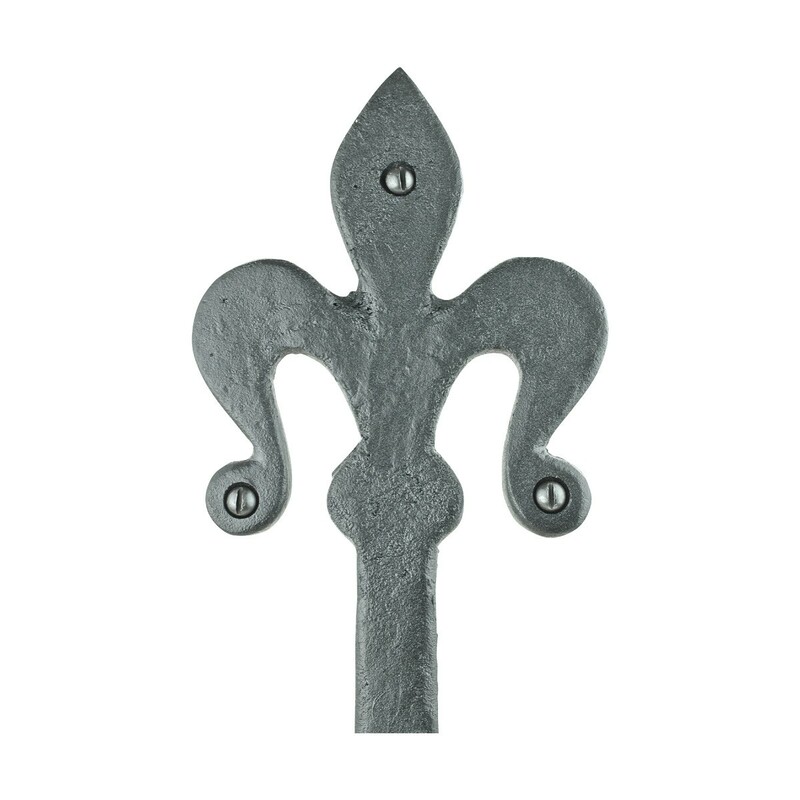 Black Wrought Iron Dummy Door Hinge Fleur De Lis 16"
Dummy Hinges. Crafted of wrought iron each dummy strap hinge is protected with our RSF powder coat finish. Every dummy hinge offers period-authentic detailing for that Colonial charm. Ideal for adding a decorative touch to doors, cabinet doors, shutters, furniture and more. Made to look like a standard hinge this dummy hinge is just a decorative cover plate with no hinge function. 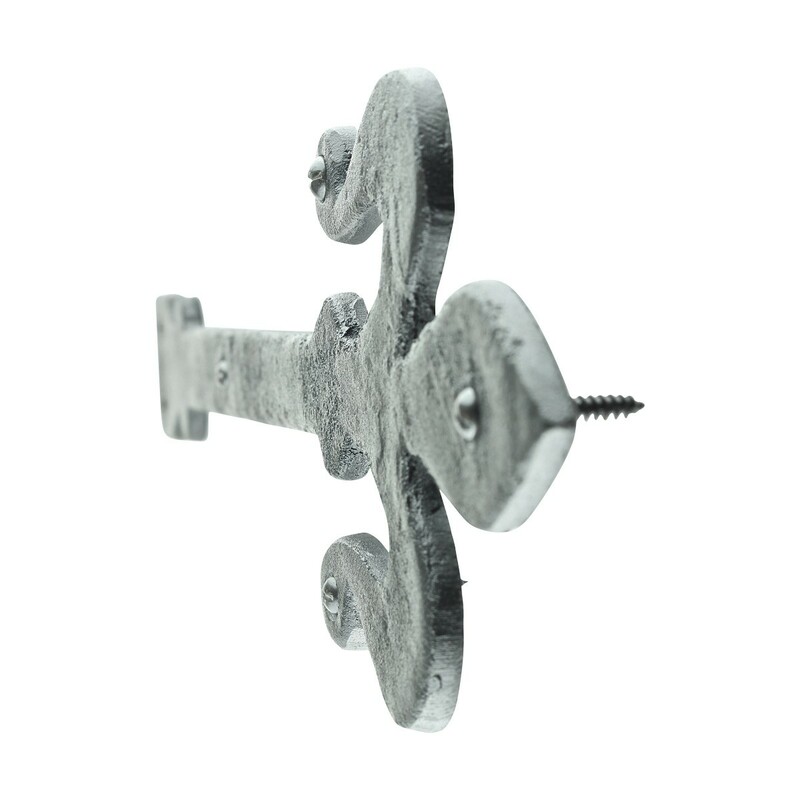 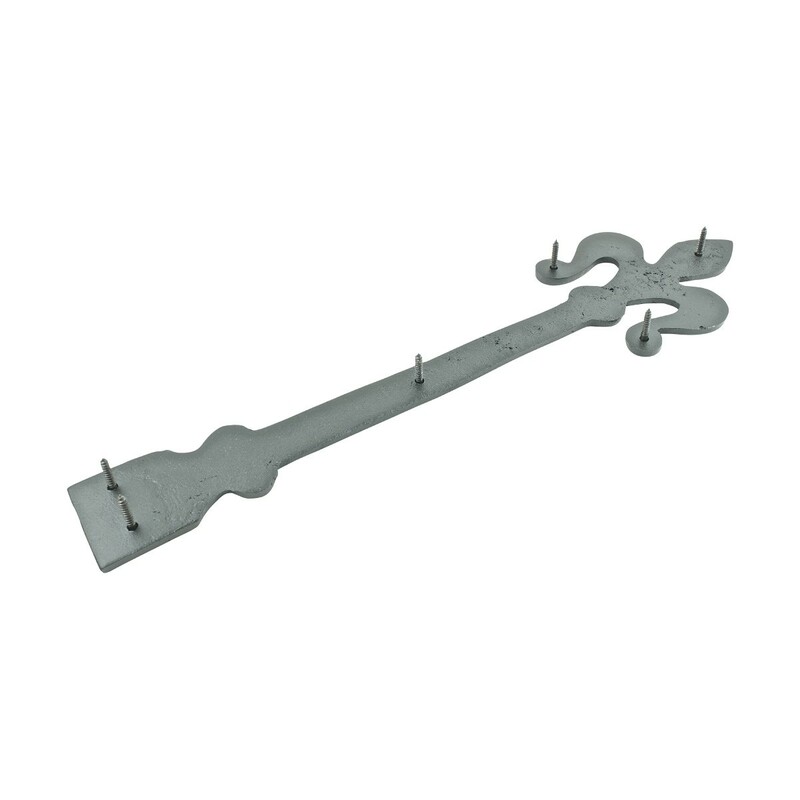 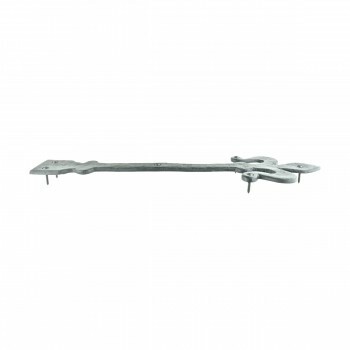 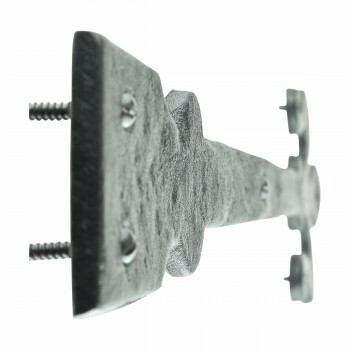 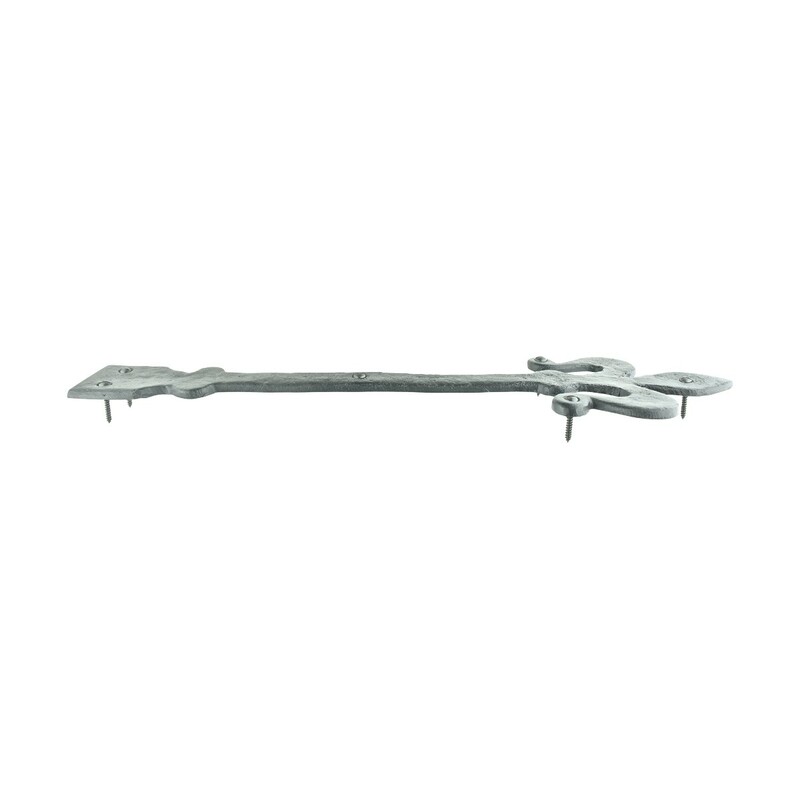 Sold individually each dummy hinge includes mounting screws for a hassle-free installation.